Can I take my child abroad without the father’s consent? If the father has parental responsibility for the child, then no, you cannot take them abroad without his consent. Under the Child Abduction Act 1984, it is a criminal offence for a parent to take a child under the age of 16 out of the UK without the appropriate consent. Fail to get permission and you could be jailed for child abduction. That’s exactly what happened to one mother in October 2016, when she was jailed by Exeter Crown Court. The mother, who cannot be identified for legal reasons, took her daughter to Cambodia against the wishes of the father and in direct contravention of a court order. Before leaving the UK in October 2013, the woman took out £30,000 in loans. Her and her daughter were later expelled from Cambodia after overstaying their visas. In sentencing her to 2 years and 6 months in jail, Judge Graham Cottle stated that he did not agree with her defence that she was acting in the best interest of the child. Cottle said that her decision to ignore the court order “tells me you did not have her interests at heart. You had your own completely misguided and selfish interests at heart.” The daughter has subsequently been placed in the care of a foster family while her mother serves out her sentence. 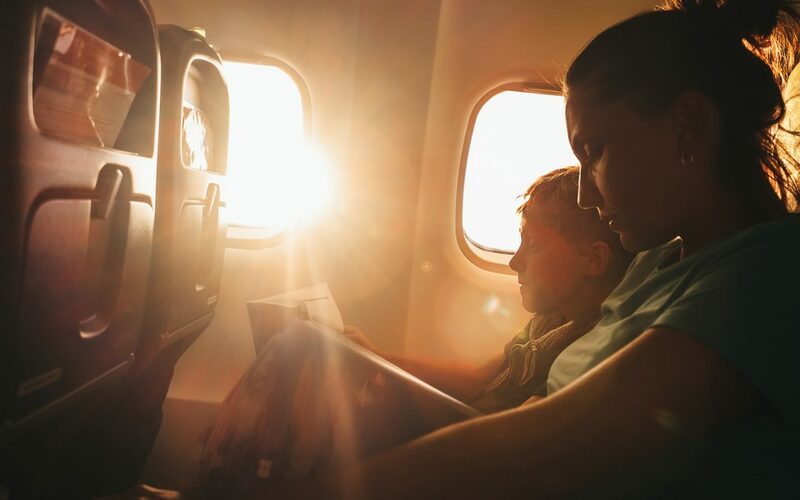 Who has parental responsibility and so must be asked before going on holiday? All mothers are automatically given parental responsibility, as are those fathers who are named on the birth certificate (from 1st December 2003) or who are married to the mother. A father can gain parental responsibility by marrying the mother after the child’s birth or through an order of the court or by signing a parental responsibility agreement. If the father does not have parental responsibility, you are not legally required to ask his permission before travelling although it is good practice to do so. When can you take your child abroad without the father’s consent? If you have a child arrangement order which states that the child should live with one parent (you), you are free to take them abroad for a maximum of 28 days without needing to gain permission, unless there is a court order to the contrary. You can also take a child abroad on holiday if there is a specific court order in place allowing you to do so. In order to obtain one, you will need to prove to the court that the trip is in the best interest of the child. Go to court prepared with your date of departure, date of return, means of travel and other pertinent details, including background information on your separation. In my experience, such preparation tends to pay off. Before you even go to court, I’d recommend that you speak to a specialist children’ lawyer. They’ll be able to give you an honest opinion of your chances of success, based on years of experience. Remember, the more you tell them about your relationship with the father, the more accurate their advice will be. What problems might you face when travelling abroad? When travelling abroad without the child’s father present, it helps to be prepared. While written consent from the father is not required, we would certainly recommend that you get it. Ask the father to write a letter that confirms their agreement with the plan and includes their contact details and specifics about the holiday. You can then present this to the border authorities if asked. Over the years, hundreds of thousands of parents have been stopped at British airports, ports and train stations on suspicion of abduction, simply because their surname doesn’t match their child’s. In the UK, a child’s passport only lists their name, date of birth and place of birth, with no reference to their parents. As a result, we would recommend that you take a copy of the birth, adoption or divorce certificate with you as additional proof.